Do you have a website and you don’t understand why the thumbnails in the gallery or in the WooCommerce product area appear pixelette and fuzzy? In the following guide we will explain how in a few simple steps you everything will work out easily. If it’s on an existing site with photos uploaded to the system, then the first thing to do is install the Regnerate Thumbnails plugin and activate it. This plugin allows you to re-crop all the images that are in the site into new sizes, of which you will set in the following steps. The built-in WordPress galleries display the thumbnails that are set in the the media settings. 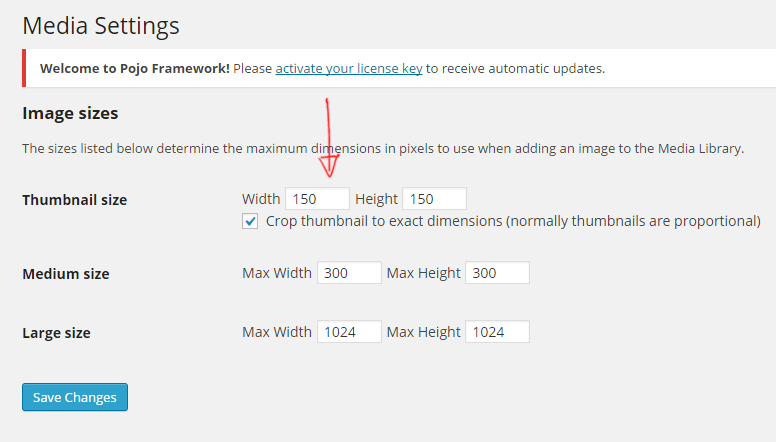 Go to Settings > Media > Thumbnails > Usually it is set to 150 * 150 pixels, which is what causes galleries with larger images to be pixelette, so simply just set it to any size you want, for example: 250 * 250 pixels. If these photos are pixelette, simply magnify them. Now, after you had set the new sizes, you need to crop all the images that have been uploaded again. For that exactly you installed the Regenerate Thumbnails plugin. Go to > Tools > Regenerate Thumbnails > and click on the Regenerate All Thumbnails button – now all your images will re-cropped and the new sizes will be adjusted. That’s it, now all the thumbnails in the site should get the new size you set for them.